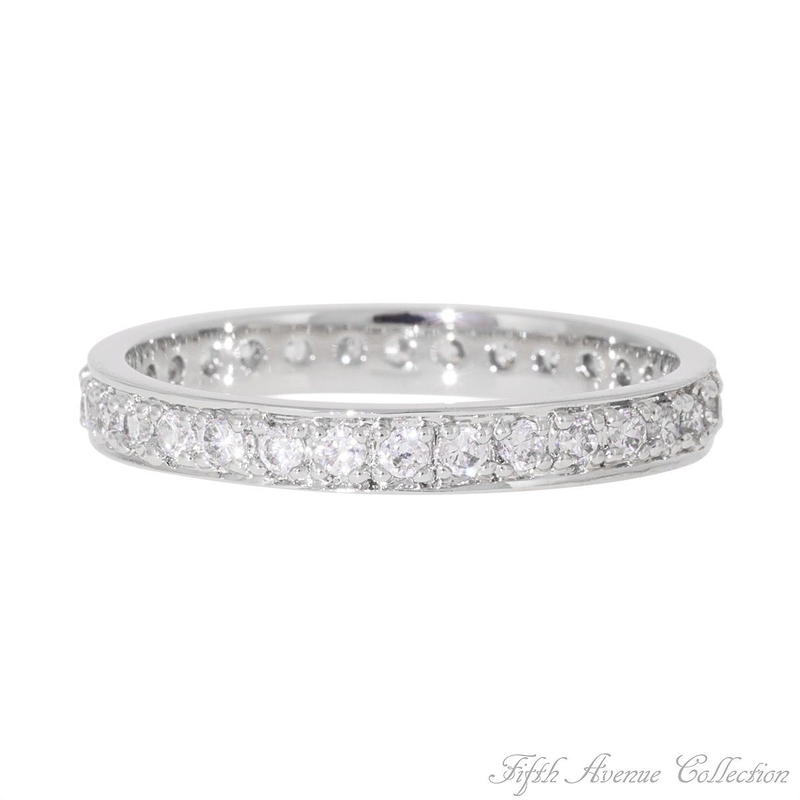 Shaped for style and designed for tradition, an endless circle of triple A quality cubic zirconia are brilliant in this simple yet stunning ring. Beautiful when worn singular and magnificent when stacked. Beautiful in a radiant rhodium finish.Available in sizes 12 & 13. 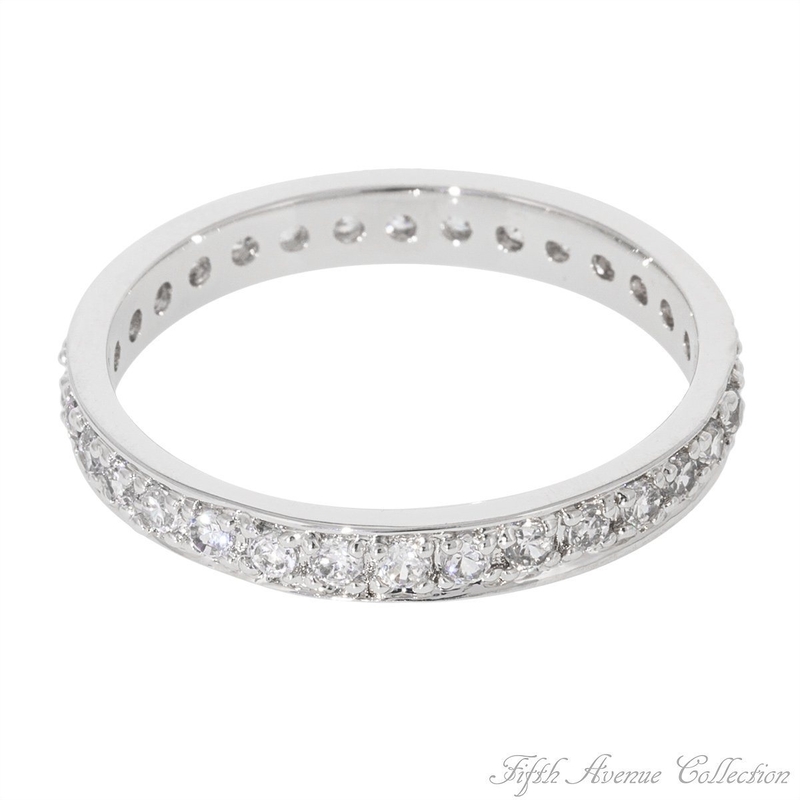 Shaped for style and designed for tradition, an endless circle of triple A quality cubic zirconia are brilliant in this simple yet stunning ring. Beautiful when worn singular and magnificent when stacked. Beautiful in a radiant rhodium finish. Available in sizes 12 & 13.